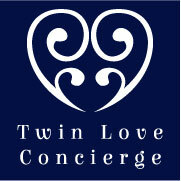 Twin Love Concierge’s Breastfeeding Twins Classes via Skype educate expecting and new twin mommies on the special strategies to make breastfeeding your multiples a success. We combine the two essentials all new twin & triplet Moms need – support and multiples expertise. The classes are run by a renowned IBCLC/Mom to Twins and are personalized so that all YOUR concerns are addressed. Our services are recommended by OBGYN’s and High Risk Medical Practitioners all over the country. Fellow Parents are added to the Twin Love Moms closed Facebook Group so they can stay in touch after the class. Everyone is emailed a TLC Breastfeeding Mom Pack which includes Tandem positions, the latest multiples discounts, daily Twin schedule, storage and warming reference guides and much more. TLC online classes are limited to 8 moms only as it is created for an environment of sharing. We guarantee to answer all your concerns and you will leave feeling confident, armed with everything you need for a smooth breastfeeding journey.